What do you do when Father’s Day is just around the corner and you’re stumped for a good, original gift idea? 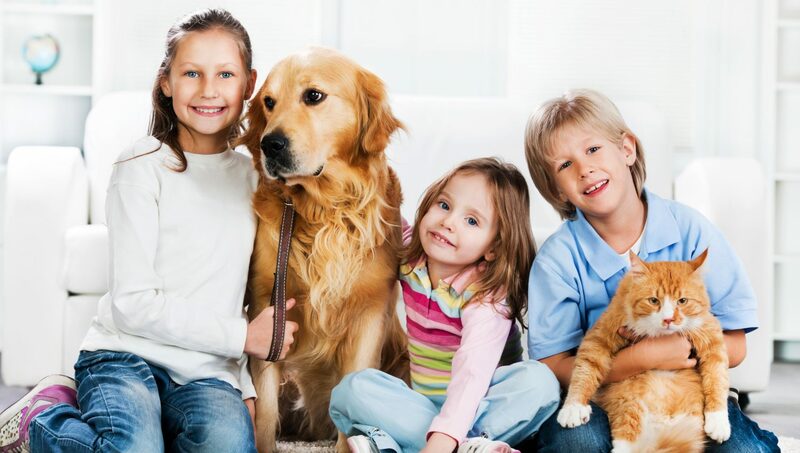 Here at Pet Barrier, we have a couple suggestions that give protection to three things that are dear to a dad’s heart – his kids, his dogs, and his car. Did you know that the AAA has calculated that the average American driver spends around seven 40-hour working weeks behind the wheel of a car in a year? This means that passengers including our children and our dogs are spending more time in our vehicles than we may realize, so giving extra thought to making vehicles as comfortable as possible is a priority. You may already have the best car seat for your child’s age, height, and weight, but there is one addition that you may not have thought about – a Travall® Guard. During a collision items that are unsecured in the trunk can be flung around the vehicle, putting passengers at risk of injury. This can occur during the smallest fender bender or even when braking hard. To shield vulnerable infants and young kids from these items, savvy parents are installing vehicle-specific barriers to keep kids protected and maximize valuable trunk space at the same time. Pet parents enjoy the ability to drive with fewer distractions while their favorite pooch is securely positioned to the rear of the vehicle. Travall has been manufacturing the Travall® Guard for nearly thirty years. Its use has grown rapidly by Europeans who understand and embrace the benefits of using vehicle-specific barriers in their vehicles. Thankfully, the Travall® Guard is now available in America, so that we can provide that same level of protection for our most precious cargo. The barrier offers a snug, precision fit, that can be installed without medication to your vehicle. Installation takes an average of 30 minutes and unlike traditional, permanently installed cargo barriers, the Travall® Guard can be removed in minutes for use at another time. To give you further peace of mind and confidence in your purchase, the Travall® Guard comes with a limited lifetime warranty. It’s the one essential piece of gear that children and dogs won’t outgrow. Visit https://www.travall.com to discover the Travall products available for Dad’s vehicle and make his day. According to an article in the Huffington Post,¹ the cost of a service dog in 2016 was around $20,000. At that time, one Web site that places 75-100 service dogs a year, had a wait list of 1,600 people. This equates to a potential wait time of 16-22 years, which for people requiring assistance is simply too long. Don’t pretend to have your own service dog. You may be tempted to put a special coat on your pet and take him to places where pets aren’t ordinarily permitted, but please don’t. Not only does it confuse the distinction between pets and service animals, it is actually a federal crime. Allow people with genuine needs to be helped by genuine service dogs. For a moment, put yourself in the shoes of an individual living with physical or mental conditions, which in some cases are life threatening. If an animal gave you the opportunity to live the fullest, most independent life possible, how would you react to someone interfering with and compromising the hard work of that service animal? Thanksgiving is almost here and the Holiday season is just around the corner. We are therefore approaching one of the biggest travel periods of the year, with 54% of Americans travelling 50 miles or more at Thanksgiving and 23% travelling the same distance over the Holidays. According to AAA (American Automobile Association), 48.7 million Americans will be travelling to visit family and friends for Thanksgiving. Of those, 89% will be driving and the average length of a Thanksgiving long-distance round trip is 549 miles. The high volume of traffic is replicated globally, as in the UK for example, 6.7 million journeys of 20 miles or more are made on Christmas Day. So how do you transport kids, pets, and luggage safely and comfortably and happily at a time of year when weather conditions can exacerbate the challenge of driving? Kids grow rapidly and what may once have been a very safe and comfortable car seat, may now have been outgrown by your child. The diagram below shows car seat safety based on recommendations by the American Academy of Pediatrics. When you have established whether the car seat still meets your child’s needs, ensure that it is correctly fitted in your vehicle per the manufacturer’s instructions. Many people use pet barriers routinely to transport a dog locally, but pet barriers become invaluable on long road trips when all your most precious cargo are on board. The barrier itself can ensure that your dog is safely enclosed and cannot distract the driver or disturb passengers. It also prevents any luggage or loose gifts from shifting from the trunk to the passenger area of the vehicle should the driver need to brake suddenly. If you add a pet barrier divider to the mix, you also have the perfect separation of luggage and pets. So, no more chewed gifts before reaching your destination! Aim to load the car with luggage and gifts before putting the pets and children in the vehicle. Make sure you have a plastic trash bag in the passenger area. Items such as wet wipes, tissues and water bottles are also useful to have to hand. Some blankets for changing weather conditions can be a useful addition. When travelling with children and pets, it is always advisable to allow extra time for the journey. Try to take breaks every few hours, or as required. These breaks allow kids and pets to have some exercise and visit the restroom, but also allow the driver to take a rest from the intense concentration required during certain weather and traffic conditions. Having a few healthy snacks and beverages available can make a trip pass more pleasurably and keep hunger pangs at bay. Be sure to avoid sugary food and drinks that might increase hyperactivity. It can also be helpful to have a few additional food supplies in the vehicle in case of extreme weather conditions or emergencies. Some vehicles now have in-car entertainment built in, which is ideal for kids to watch their favorite movies. If your vehicle does not come equipped with this, a portable DVD player may be a good alternative. If you prefer to avoid electronic device overload and want a more all-inclusive entertainment approach, an audio book or music that everyone can listen to can be a fun option. Stickers, felt pieces and pipe cleaners can be great for younger kids to fiddle with and they often love games of I-Spy whether on pre-printed sheets for them to check off or with the whole of the car joining in. Older children may prefer car quizzes and, if they are truly craving electronics, downloading the Mad Libs iOS app ahead of time may be a good option. With a little careful planning, what the kids (and even adults) may perceive to be a long and boring journey, suddenly becomes a lot more appealing. If you have any fail-safe tips that your family uses on long road trips with kids and pets, why not share them with other readers? Whatever your plans during the Holidays, I wish you safe, pleasant travels and a happy and healthy 2017. This week continues the posts about driving safer by avoiding distractions. Last time, I encouraged you to keep your attention on the road by ignoring your cell phone and not fiddling with the entertainment system or GPS. As promised, today I’ll be touching on tips for driving safer with children and dogs in the car. Both children and dogs can be a pretty big distraction when you’re driving, but in different ways. Dogs generally form a distraction when they are free to run around in the car, unrestrained. When this is the case, they can startle the driver by nudging them or suddenly licking them. Even a dog who suddenly starts breathing right next to your ear because he wants to see out the windshield, can take you by surprise. But maybe your pooch does none of this and sits politely on the backseat. Even then, you might get distracted as you are likely to be tempted to look back and see how your dog is doing. Taking your eyes off the road for even a second is potentially dangerous. Luckily, there is a simple solution: keep your dog restrained in a safe manner when he is in the car. This way, he cannot reach you and you will know without having to look that he is safe. There are several ways to achieve this, some like a kennel or a pet barrier are better than for instance a special seat belt or harness for reasons I have explained before. the kids occupied. This can take many forms, from having plenty of (preferably healthy) snacks to bringing toys, books, films and such. Of course, the good old fashioned ways of playing games such as I spy and singing songs works too, as long as you can still pay enough attention to the road while participating. Next time when going somewhere with your dog or child, try to keep these simple tips in mind and try to focus on what’s going on outside the car and not what’s happening inside. Take measures to avoid distraction or just leave it to your co-pilot to handle it, if you are lucky enough to have one. Safe driving! To keep our dogs busy and healthy, we don’t only have to make sure they get enough physical activities like a stimulating walk or swim. Like the body, the mind has needs too and needs to be used. Preventing boredom is of the essence. Most of you will probably have some (funny) anecdote showing that boredom leads to trouble, in dogs and humans alike. One way to keep a dog’s mind occupied is to teach him of her tricks. Most people know about the basic tricks and commands such as sit, heel, down. These are things every dog should know to operate and be safe in our society. However, dogs are capable of learning much more than that. They might even pick up a few tricks on their own, whether you want them to or not. To teach your dogs new tricks, you don’t need much: a list of tricks, patience, perseverance and lots of treats. However, if you don’t really know where to start and the internet is no help, you don’t have to do this on your own. There are dog schools and trainers who will gladly help you and that offer more advanced classes that go beyond basic obedience. Though, make sure you transport your pooch safely in the car, with a crate or pet barrier, when you go to these classes. Does your dog know any fun or unusual tricks? Is there a something you would like him to know? Let me know in the comments! This week’s activity is aimed at people and dogs with a lot of energy who like being active. So all the two- and four-legged couch potatoes can stop reading right here. If, however, your pooch is a bundle of energy and you are looking for a way to let him blow off some steam, why not try out a dog sport. If now I have you thinking that you’d like to try this, good! However, before jumping into this recklessly, do your research. Not every sport is suited for your dog’s breed and, especially, his or her personality. If you have found a sport suited for you, look up what it entails and how much time and effort you have to invest in it. If you are not willing to commit, you can save a lot of time by not starting it in the first place. If all this information hasn’t dissuaded you yet, you can start looking at clubs and schools in your area where you can learn the ropes and to guide you in the whole process. Also, and this goes without saying, but make sure your dog is healthy and fit enough to participate in any of these activities. And when driving to the club or venue, make sure your dog is properly secured in the car with a crate or pet barrier. But now, go out and have fun! Is there a dog sport you’d be interested in? Are you and your four-legged friend active in a dog sports? Let me know in the comments and tell me what you like about it. Last week I started the new topic of things to do with your dog by advising you to take your pooch to a new area during the (daily) walk. This will stimulate and motivate them, just like it does humans. Think about it, sometimes you get in a routine and after a while it just starts to feel like a drag. So we go on holiday for a change of scenery and new sights. This is exactly what you’ll be doing for your dog by changing their route. Today’s advice is pretty close to last week’s, however instead of turning into a new street on the walk, why not go a bit further and take your four-legged family member to the beach. If the new street was like a holiday, then the beach will be like paradise to your dog, a paradise of sand and water. For a lot of dogs, the beach is like a foreign place on a planet that is just waiting to be explored. The beach sand will hold thousands of scents from people, various animals, other dogs, and who knows what else. And for the dog who isn’t afraid of water, swimming in the sea will bring exercise to a whole new level. A trip to the dog beach holds numerous possibilities to occupy your dog. From running and swimming to playing fetch, exploring and meeting new friends or just enjoying some sunshine, this doggy paradise has it all. longer time. Lastly, do not forget to clean after your dog in case he does his business on the beach. This way everyone can enjoy a nice beach! Would you be willing to take your dog to doggy paradise? Or have they already been to this magical land of sand and water? Feel free to share your stories and anecdotes in the comments. Last week’s post was about the last of the car safety items: the hammock. Today’s topic is also about traveling but in a more general sense. I’ll be covering some tips and advice about traveling with your dog. Again, my focus will be on traveling by car, though some of it will be valid in other situations too. I strongly advise that before you leave you take the dog for a check-up at the vets. This way you can both go on adventure without any worries. It also wouldn’t do any harm to inquire whether your pooch might need some vaccinations to protect him from viruses that are common in your destination. These might not be the same as can be found in your home area, thus your dog could be unprotected against them. The day has come and now you’re in the car and en route to your great holiday adventure. Dogs are not people, but when it comes to car travel their needs are similar. Just like us they need frequent stops to stretch their legs and have a pee break. Make sure that water is always available to them at these stops to avoid dehydration. And just like kids, you’ll need to keep your dog entertained. Some dogs may love just looking at the windows during the whole ride, but most dogs I know get bored and start fussing after a while. So give them a bone to chew on, or play a small game that will stimulate their minds. Keep all this in mind and your trip will turn out great. What are the thing you do to prepare for a car ride with your dogs. Are there things that you just have to take along Let me know in the comments.